This is Xena. 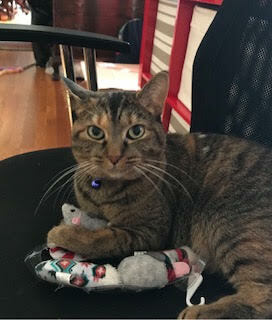 She’s a 2 year old female Tortie and a VERY loving kitty that loves to play fetch, cuddle and talk. She’s very vocal and has the sweetest meow. She’s good with kids 8+. 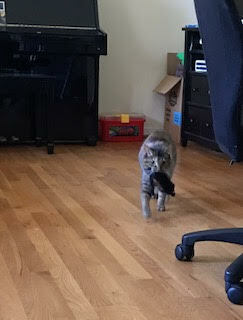 Loves her mouse toys and will fetch and bring it back to you to throw again! She would like to be an only animal and does not get along well with other animals but is great with people. She’s truly an amazing girl that needs to be an only child. Please apply online and ask about Xena.